Ignite 2019 will be the most thrilling, valuable experience we’ve ever put together for retailers. 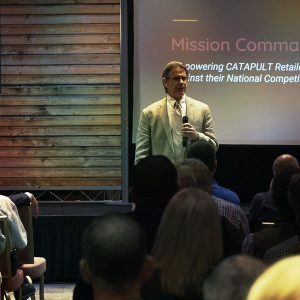 Register today and join us July 29-31 for three days of valuable insights, leadership training, fun, and fellowship with CATAPULT® power users and other future-focused retail professionals. But…if you’re still on the fence about attending Ignite this year, we want you to consider a few reasons to make the investment! 1. Ignite is more accessible than ever before for business… and fun! So long, Asheville. Hello, Nashville! We love our home in Appalachia, and as much as we enjoy sharing the beauty and fun of the Blue Ridge Mountains with our retailer partners, it can be a tough trip–especially after a long flight. In an effort to ensure that this year’s conference is both accessible and entertaining, we’ve decided to take the show on the road and set up shop in Music City, USA! Tennessee’s legendary capital city offers visitors a wide array of things to see, hear, and do. The Nashville Airport Marriott is our most accessible venue yet, with free shuttle service to and from the Nashville International Airport (BNA), located just minutes from the hotel. The venue boasts nearly 30,000 square feet of meeting space and has been recently renovated inside and out. We’ve also made plans in the heart of downtown to relax and enjoy Nashville’s culture and nightlife. Learn to crush obstacles, set goals, and seize those goals as you lead your enterprise to new heights of success. Each year, Ignite welcomes high-profile thought leaders and retail industry pros to offer their expertise to our retail success community. 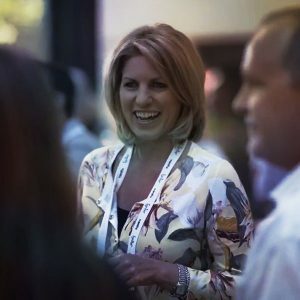 Ignite 2019 will deliver value with insightful, inspirational keynotes and informative, interactive breakout sessions led by specialists and CATAPULT gurus from all walks of the industry. Learn from and forge connections with other retailers. Not every expert at Ignite will be leading a keynote, a workshop, or a breakout session. Some may be sitting right beside you! Ignite 2019 will be an opportunity to exchange ideas and make lasting connections with other retail visionaries just like you. Ignite brings together 200+ forward-thinking retail executives and decision-makers from across the country. Last year, Ignite hosted retailers from a variety of industries including grocery, pharmacy, self-service, beverage, convenience, and specialty foods. Get a close-up look at the latest CATAPULT features and industry innovations. It’s imperative to always stay one step (or many more) ahead of the competition, and that’s why we’re committed to perpetual improvement of the CATAPULT platform. Each year, Ignite provides us with an opportunity to share what we’ve been working on in our mission to maximize your economic and operational successes. You’ll be able to hear from a panel comprised of ECRS Design and Development experts as we take a look at our latest and greatest features, and share a sneak peak of what’s still to come. The Product Lab has also doubled in size, allowing us to show you even more of what we’ve been working on. This also means we’ve given more space to our specially-selected exhibitors and sponsors. They’ll be showcasing unique products and services that we believe will enhance your store operations to optimize success. This year… you can bring your own data! Register for the Success Pass and make the most out of the Ignite 2019 experience. Attendees will join us for a full day of specialized, small share-group-style workshops. They’ll dive deep into specific areas of their enterprise they seek to improve and share ideas with industry colleagues. While this isn’t our first year offering Success Workshop Day ahead of the main conference, this year’s event is bringing a BIG change. For this year’s Success Workshop Day, attendees will have the option to conduct hands-on training using their own enterprise database. This will give attendees the chance to see just how they can put their real-world database through its paces in a safe, closed, non-live environment. 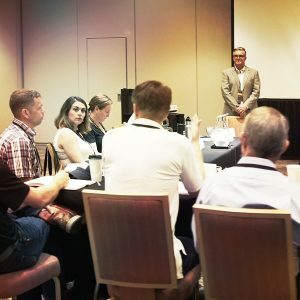 A Success Navigator Consultant or CATAPULT Expert will facilitate each workshop to offer guidance and ideas to help resolve pressing challenges and operational obstacles. Through personalized consulting, communication with industry colleagues, and open exchange of ideas, these workshops build a foundation for participants to gain even more value out of the Ignite conference experience. Are ready to attend the best retail success conference of 2019? Make sure you’ve marked your calendar for July 29-31 and submitted your registration! Early Bird Pricing Ends May 1 at midnight. Final registration ends June 28, 2019 at midnight. We can’t wait to see you in Nashville!